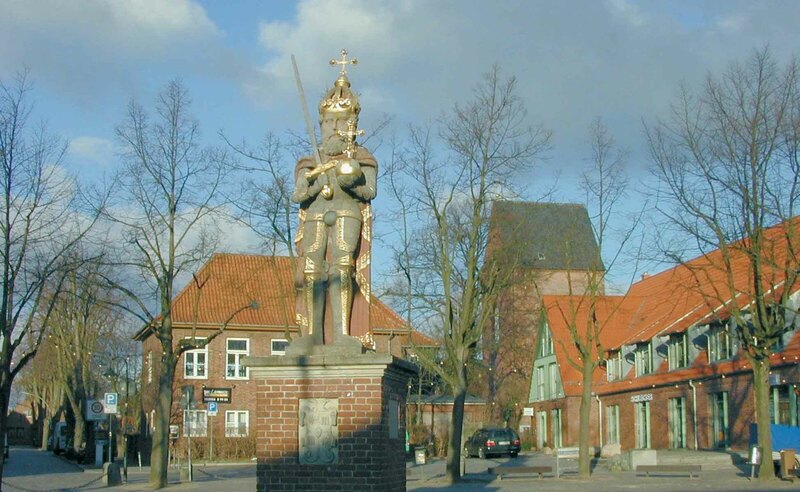 ... start with the bike in Wedel and make a discovery trip along the Krückau. Take a look at the nearly endless amplitudes of the Marschland, just enjoy the fascinating view while you are standing on the river bank. From airport Hamburg-Fuhlsbüttel: over Rellingen, from Pinneberg on the country road 105 within 45 min. From Regional airport Heist: take road 431 to Wedel within 20 minutes. From motorway 23 North: exit Wedel / Pinneberg south, via country road 105 within 20 minutes. From motorway A23 / A7 south: Exit Hamburg-Bahrenfeld (2. after the Elbtunnel), onto road 431 to Wedel within 30 minutes. By train: Drive to train station Hamburg-Altona, after that wihtin 30 minutes with line S1 to Wedel. By bus: with different lines from Hamburg, Pinneberg and Elmshorn. By ship: With different ferries from Hamburg and Wedel directly to the lovely Island Helgoland. Wedel and family blum are looking forward to your visit!